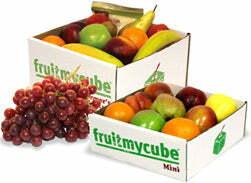 Welcome to Fruit My Cube! Just select your workplace and then start shopping! Is your office already being "fruited"? Simply click on your office so we know where we're headed, and then start shopping! Don't see your office listed? Click HERE to get on board in minutes with no obligation to order!